Mossy and merry, Tad Tree Frog Little is a funny friend indeed! 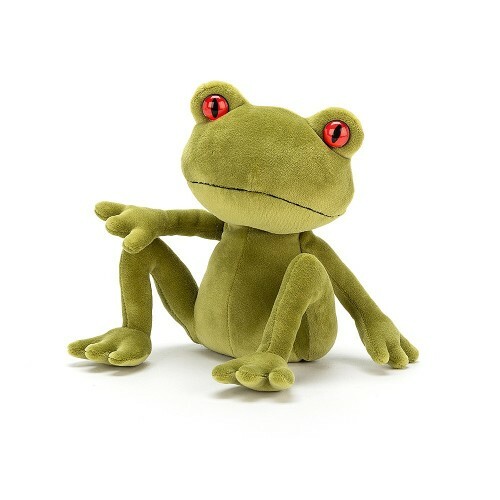 With short, soft grassy fur, a big stitchy mouth and bobbly eyes in glossy amber, this funky frog is bouncing with charm! Tad loves sitting on a lily pad, thinking hard and munching yummy bugs!